•	NASA`s Opportunity rover has completed 15 years of its touchdown on the surface of Mars. •	The US space agency said it has travelled 45 kilometres and logged its 5,000th Martian day back in February 2018. 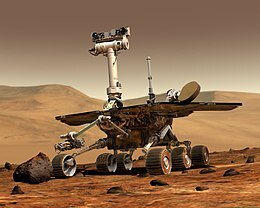 John Callas, project manager for Opportunity, however, said that at present the agency does not know the rover`s status. •	The six-wheeler rover had landed in a region of Mars called Meridiani Planum on January 24, 2004. •	The solar-powered rover went silent since a global dust storm in June last year. •	However, Opportunity`s mission continues, in a phase where mission engineers at NASA laboratories are sending commands to as well as listening for signals from the rover. •	In a significant find in the global spread of multi-drug resistant (MDR) bacteria, scientists have found a “superbug” gene — first detected in over a decade back — in one of the last “pristine” places on Earth that is some 12,870 km away. •	Soil samples taken in Svalbard — a Norwegian archipelago between mainland Norway and the North Pole — have now confirmed the spread of blaNDM-1 (called New Delhi Metallo-beta-lactamase-1) into the High Arctic. Carried in the gut of animals and people, blaNDM-1 and other ARGs were found in Arctic soils that were likely spread through the faecal matter of birds, other wildlife and human visitors to the area. •	Basically, superbugs are becoming more powerful and widespread than ever. Medical experts are afraid that we’re one step away from deadly, untreatable infections, since the mcr-1 E.coli is resistant to that last-resort antibiotic Colistin. Antibiotic-resistance is passed relatively easily from one bacteria to the next, since it is transmitted by way of loose genetic material that most bacteria have in common. •	The World Health Organization (WHO) is afraid of a post-antibiotic world, where loads of bacteria are superbugs. Already, infections like tuberculosis, gonorrhea, and pneumonia are becoming harder to treat with typical antibiotics.